It’s Time For Your Smile’s Spring Cleaning With Your Dentist in Ellington! Comments Off on It’s Time For Your Smile’s Spring Cleaning With Your Dentist in Ellington! Sometimes it seems like a simple task to maintain your oral hygiene, but it’s worth putting the time and effort into researching. While typical daily routines are helpful, there are other things you should do to keep your mouth in tip-top shape. Your family dentist in Ellington can help you develop the best routines to keep up on your oral health. Your Family Dentist in Ellington Gives 5 Holiday Oral Health Tips! It’s that joyous time of the year where gifts are to be exchanged, and families gather to celebrate. 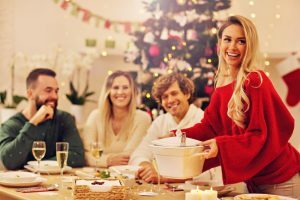 As you prepare for the festivities, though, your family dentist in Ellington says don’t forget to take the necessary steps to protect your oral health. Read on to learn 5 helpful tips to put to use. Comments Off on Your Family Dentist in Ellington Gives 5 Holiday Oral Health Tips! Happy Halloween! As the holiday approaches, kids and parents alike are getting excited to dress up and eat their favorite treats. Halloween is a fun time for you and your family, but this time of year also means more candy consumption. 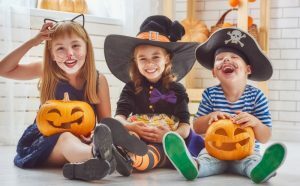 Keep reading to learn how you and your loved ones can have a happy Halloween, while keeping your teeth healthy at the same time from your children’s dentist in Ellington. Some choices in life aren’t as easy as they first appear. Take choosing a toothpaste for example. “That’s easy,” you may say. “One is as good as another.” In truth, however, toothpastes can differ greatly in terms of the benefits they offer. Here are some tips from a family dentist in Ellington for making this important decision. Can I Use My Dental Insurance for My Cosmetic Dentist in Ellington? Every month you pay premiums for your dental insurance. This allows you to visit your dentist twice a year to achieve and maintain your oral health, but can you also use your coverage to get the smile of your dreams? Your cosmetic dentist in Ellington offers an array of procedures to improve the appearance of your teeth and gums; however, your dental benefits may not cover their costs. To use your coverage, the procedures must be deemed necessary to improve your dental health. Comments Off on Can I Use My Dental Insurance for My Cosmetic Dentist in Ellington? 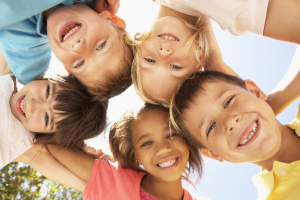 Every February is dedicated as National Children’s Dental Health Month to raise awareness to the importance of early childhood dental care and oral hygiene habits. Dental professionals from around the world come together to promote the health of young smiles. As a parent, you can support the cause by fostering healthy oral hygiene habits at home while taking your child to the dentist twice a year. Can a Cosmetic Dentist in Ellington Help You in 2018? Had you taken the time to write down all your new year’s resolutions for 2018 already? Did one of them include reaching a new level of oral health or a brighter, shinier smile? If so, you need to reach out to your cosmetic dentist in Ellington. After all, for your cosmetic dentist to improve the aesthetic of your smile, it must be healthy and strong first! 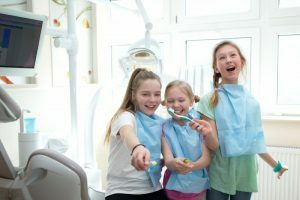 Learn more about how your local dentist can improve your teeth and gums with comprehensive dental services in this week’s blog post about cosmetic treatments and procedures. Comments Off on Can a Cosmetic Dentist in Ellington Help You in 2018? 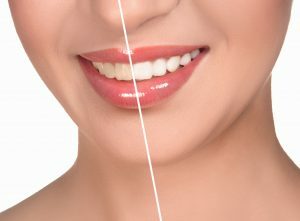 If you’ve been hesitating when it comes to whitening your teeth, your cosmetic dentist in Ellington is here to help. It’s truly a shame when misinformation prevents people from pursuing treatments that are designed to be completely safe, so your dentist is doing what they can to dispel whitening myths today. You might be surprised to find a myth you believed is on this list. When you think of bacteria in your mouth, where does your mind go first? Is it your teeth? Or is it your gums? Now answer this: did you ever consider how much bacteria lives on the top of your tongue? There are literally thousands of bacteria on your tongue at any given time, so including it in your regular oral health routine carries several benefits. 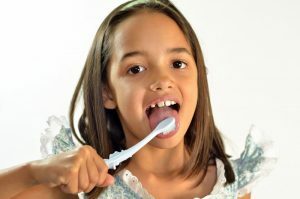 Inside, your dentist in Ellington explains why so much bacteria lands on your tongue and how to remove it, giving you cleaner and fresher-smelling breath every day.